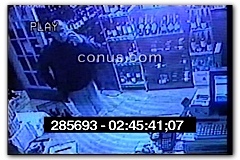 GUY WALKS INTO LIQUOR STORE TALKING ON CELL PHONE. 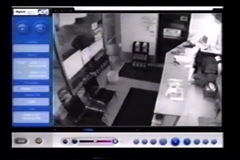 HE TELLS CLERK HE IS ROBBING THE STORE, AND THE CLERK COOPERATES. THE ROBBER SHAKES HIS HAND BEFORE LEAVING. QUITE THE POLITE, FRIENDLY ROBBER!